Registration for one of the most iconic races in sport is set to open on September 12! This means that you have between now and May 3 to train for the legendary Wildflower Experience at Lake San Antonio. 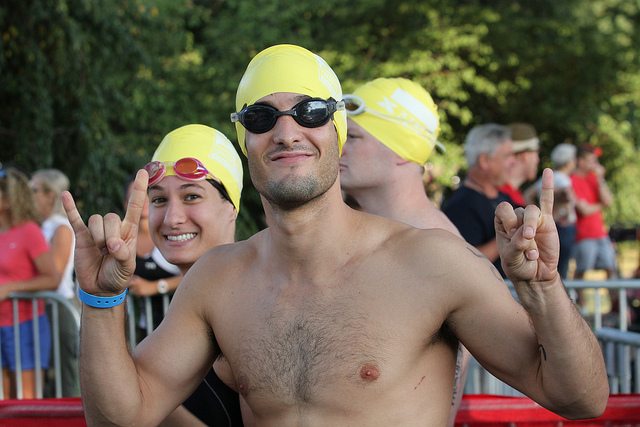 The ‘Woodstock of Triathlon’ hosts Long Course, Olympic, Sprint and Off-road Sprint distance events over the three-day endurance sports festival. There’s also Olympic Distance, On-Road Sprint and Off-Road Sprint triathlons, a Collegiate Championship, 5K/10K run, 10-mile trail run, SUP race and a variety of yoga classes and workshops. There will be a music festival, stand up paddleboard events, and a three-day outdoor yoga experience. The organizers pride themselves on offering a unique athlete ‘experience’ with a full schedule of races, lifestyle events, yoga, music, race clinics, workshops, a beer and wine celebration garden, a wellness marketplace, and plenty of camaraderies for everyone to enjoy. Demand for the event is expected to be very high—both the Long Course and On-Road sprint race sold out this year—and registration for all of the events opens at 8 am on September 12th on their site. Early bird rates are available until October 9 and registered triathlon clubs and last years participants will be getting an exclusive invitation as a thank you. Wildflower in the early 1980s as a small-scale bluegrass festival and triathlon. Since then it’s grown into an annual event, attracting thousands of participants and spectators. Over the years, the event has created a passionate and dedicated following amongst triathlon enthusiasts, many of whom flock to the California Central Coast each year to soak in the intimate setting. If you’re heading to Wildflower, the BEST WESTERN PLUS Black Oak Hotel is a perfect accommodation option. This beautifully-landscaped property features a variety of impressive rooms and suites, along with a heated pool, sauna and hot tub—which are just perfect for unwinding after a day’s run at Wildflower.